We are proud to present Aspen from the Presidio Highschool. Tucson Presidio Rotary sponsored Aspen so that she could attend the Hoby Leadership Conference in June ono the Arizona State University Campus in Phoenix. Aspen will be discussing her experience at the conference and as a student attending the charter school Presidio School. 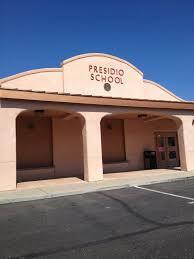 Presidio School is a college preparatory school located in central Tucson that offers a challenging classical education where artistic, literary and scientific course work all are meaningful parts of the core curriculum. Presidio offers an educational model in which the arts, supports and stimulates learning in other domains such as math, science and reading – which in turn, supports and stimulates learning and valuation of the arts.